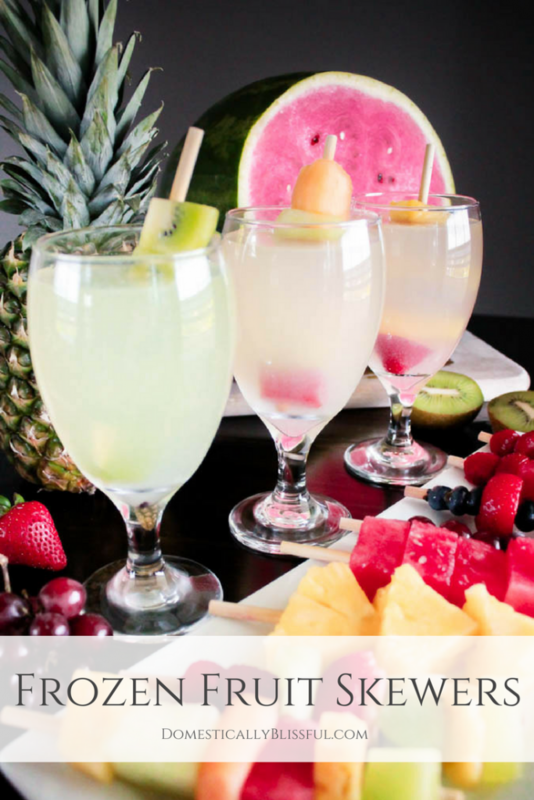 Frozen Fruit Skewers are a deliciously refreshing way to keep your drinks cold & enjoy your favorite fruit this summer! Have you been enjoying all of the delicious seasonal fruit this summer? Our fridge has been filled with watermelon, strawberries, blueberries, blackberries, grapes, kiwi, cantaloupe, honeydew melon, & mangos. And just this last week I picked up a large array of fruit from Food Lion to enjoy over the weekend for Roger’s birthday. But truthfully, sometimes it can be hard eating all of it just the two of us! Luckily, we have a had our nieces & nephews over on several occasions to help us enjoy all of the fruit. As the days get longer & hotter, I’ve been looking for more ways to indulge on my favorite summer fruits while staying cool in the southern Tennesee sun. 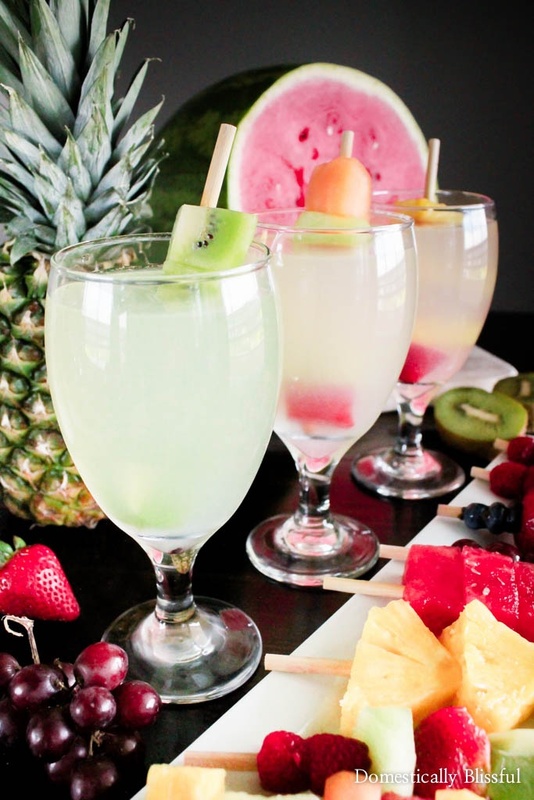 One zen way to stay cool & enjoy your favorite summer drink is to create Frozen Fruit Skewers! These Frozen Fruit Skewers can be used as “ice” to keep drinks cold & to be enjoyed as a yummy chilled fruit treat on a hot summer day. 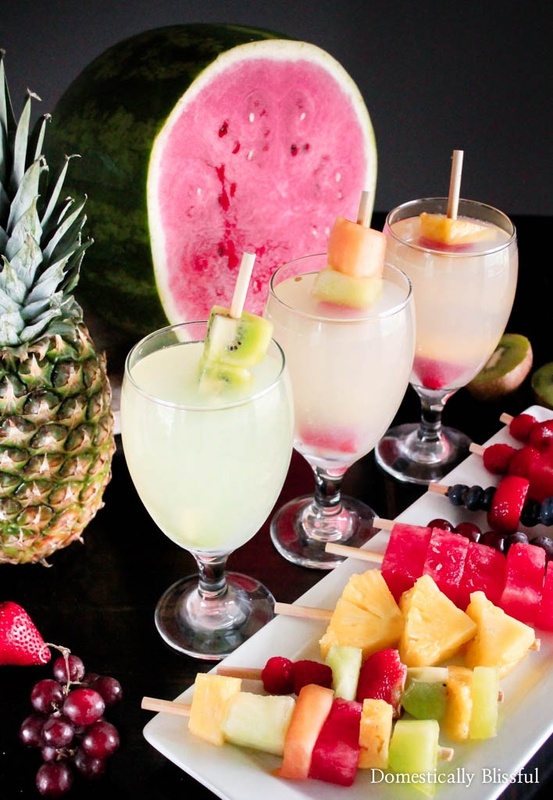 You can create your skewers with all of one type of fruit, your favorite berries, all melon, or even a rainbow of fruits. You can mix & match all of your favorite fruit to create a colorful array of tasty fruit skewers that are chilled to perfection! And this is also a great way to make fresh fruit last even longer! 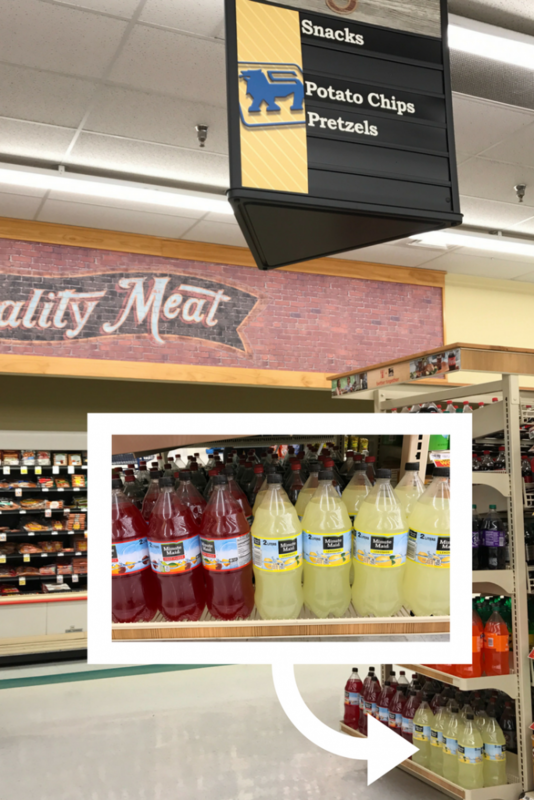 Last week while I was shopping at Food Lion I picked up a bunch of fruit & two 2 Liter bottles of Minute Maid® Lemonade to create a deliciously cold & fruity drink. 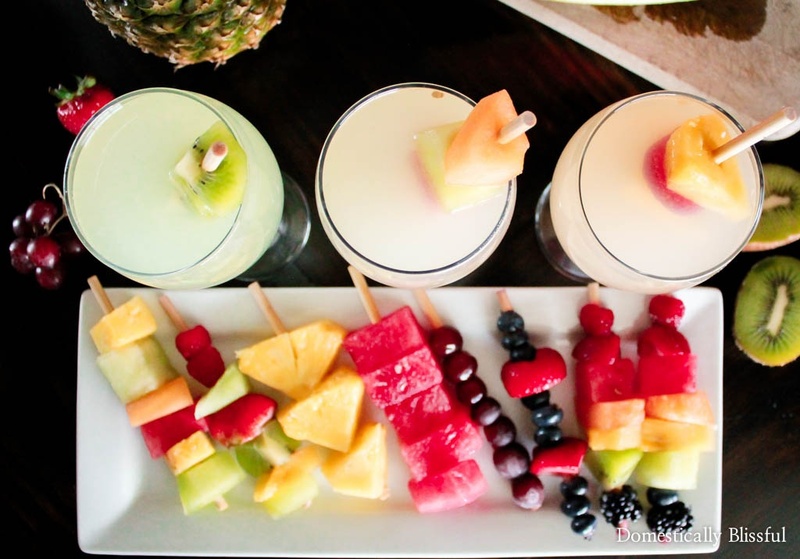 Once I got home I grabbed some sticks (the same ones that I use for my homemade popsicles) & started skewering them with freshly washed & cut fruit to create a naturally sweet tray of fresh fruit skewers. After freezing them for a few hours they are perfect for adding as ice to your Minute Maid®Lemonade or FUZE® Tea. And then once you have finished off a drink or two you can enjoy the fruit while drinking in the last rays of the sun for the day. 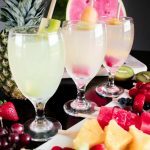 And let’s be honest, since Minute Maid® Lemonade is made with the goodness of real lemons you will want to drink a few glasses with your Frozen Fruit Skewers before the end of the day. You could even share a slice of summer by creating these for a fun summer gathering with all of your friends & family. 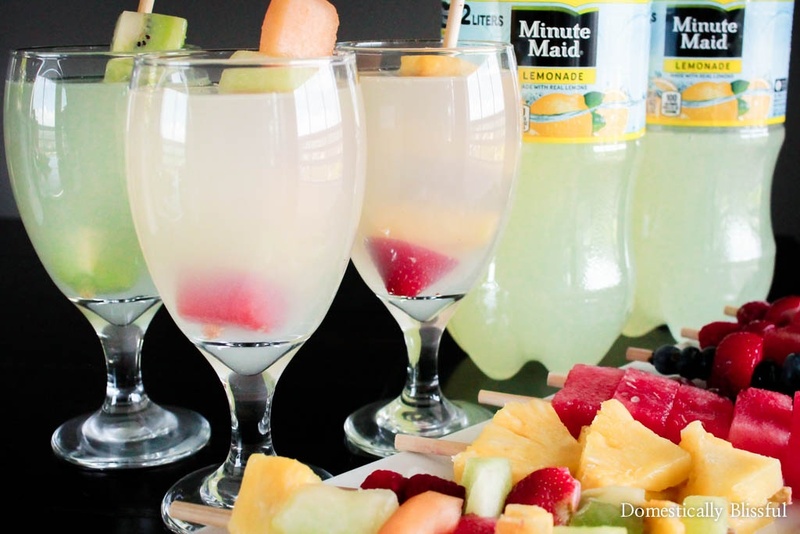 Minute Maid® Lemonade is the quintessential refreshing beverage with the great taste of a simpler time & it pairs perfectly with the simplicity of these Frozen Fruit Skewers! And right now (July 12 – Aug 1, 2017) at Food Lion you can buy (two) FUZE® 1L OR (two) Minute Maid® 2L OR (one) Minute Maid® .5L 6pk & get $1 OFF Fresh Cut Produce! Or you can buy (two) FUZE 1L OR (two) Minute Maid 2L OR (one) Minute Maid .5L 6pk & get $1 OFF your purchase. Be sure to visit Food Lion’s entry point kiosk for a special offer on FUZE® & Minute Maid® Lemonade (July 12 – Aug 1, 2017) to get the offer! Simply scan your Food Lion loyalty card at the kiosk to download the offer to your card. With such a good deal you will be able to create a lot of Frozen Fruit Skewers for wherever the summer sun takes you this season! Wash & cut the fruit into chunks. 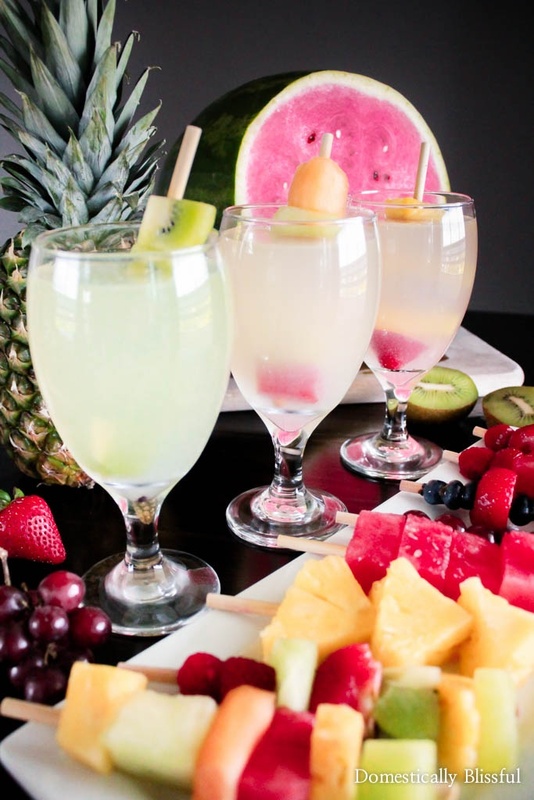 Add to your Frozen Fruit Skewers to your water, Minute Maid Lemonade, or FUZE Tea & enjoy! You can arrange your fruit in a variety of ways such as all one type of fruit, mixed berry, or a rainbow of fruits. 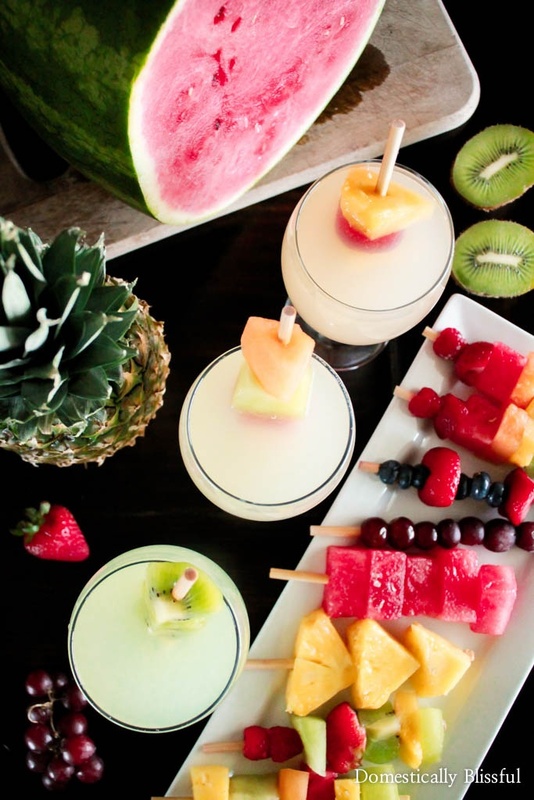 What is your favorite way to enjoy summer fruit & drinks? This is such a simple and fun idea! These. look. soooooo good! Talk about the perfect refresher! This is such a sweet way (literally) to keep your drinks cool. And sounds yummy too! This is one of those ‘why didnt i think of that’ ideas! So simple but so cool! No more watery drinks as your ice melts. I love the idea of freezing them. This looks like the perfect drink for summer! I could definitely see myself plunging these into a nice white wine spritzer! What a great idea, and how pretty! I will definitely be trying this poolside this weekend! 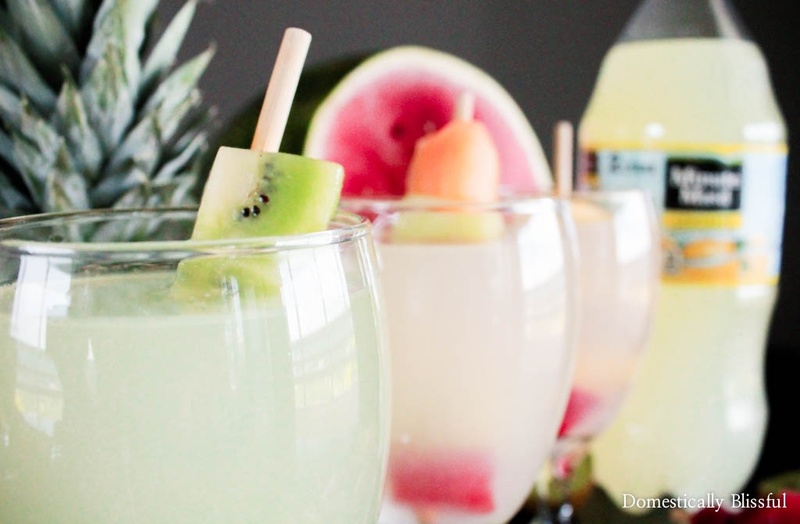 These look so delish and refreshing for the summer! I def need to try this recipe! THose look so so so good!! 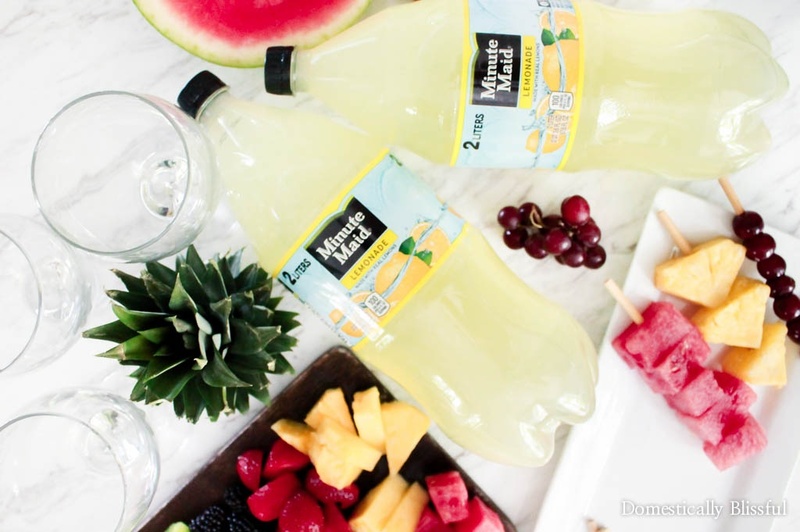 I love minute maid lemonade and fruit, so that’s the perfect combo! So true! It’s a perfect combination! This is a fabulous idea! We are always eating outside in the summer, this would be perfect for everyones drinks, kids and grownups!